Subgenre’s of music come and go, beginning at the cutting edge of sound, and ending up watered down by mainstream artists hoping to cash in on what was hip last year. Those subgenres that hang on are the ones in which the artists find ways to adapt to the changing music scene, often by crossing over into other genres. While electronica in its purest form may not be the hottest thing going anymore, artists in other genres and subgenres are exploring the style. Germany’s Trance Club has the feel of electronica, but a looser groove that comes out of the music being played by a band, rather than being programmed. 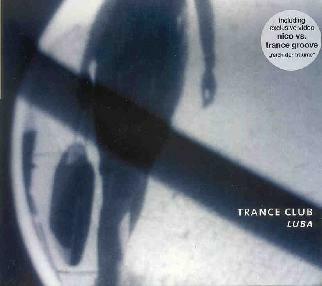 Using a wide range of instruments that not only include electronics and effects, but also guitar, drums, percussion, turntables, Wurlitzer organ, Rhodes electric piano, bass, and others, Trance Club weaves a captivating sound that is both hypnotic and jazzy, but ultimately defies categorization. Think Mushroom circa their Analog Hi Fi Surprise period, but less retro, and generally mellower, and you may have an idea of what to expect. Songs range from the freaky, experimental and sample heavy opener, Elevenfiftyfive, to the moody, drifting, and haunting 12-minute closer, Slow Motion. Other standouts include the mysteriously funky grooves of Lisboa, the spacey, nighttime atmospherics of Le Cat, and the smoky jazz rumble of Gin Fizz. All in all, an offbeat, but highly enjoyable listen. The disc also includes an mpeg video called Reich der Träume credited to Nico vs. Trance Groove, a wistful and melancholy journey of sounds and images featuring the late singer Nico, who was born in the band’s home town of Cologne, Germany. And speaking of Cologne, if you happen to be there, Trance Club plays live at The Rheinländer every first Saturday of the month. More info on that here: http://www.rheinlaender.de. For more information you can visit the Spinner Ace Records web site at: http://www.spinnerace.com.